Rosalyn Binday - Scarsdale Premier Insurance Agency | Advocate Brokerage Corp.
Rosalyn Binday is President and Founder of Advocate Brokerage, which she launched in May 1969. A graduate of the Fashion Institute of Technology in New York City, Rosalyn built Advocate based on a philosophy and culture of customer service that she knew insurance clients were not getting elsewhere. At Advocate Brokerage, which focuses on property and casualty insurance for personal and commercial clients, Rosalyn specializes in protecting the needs of successful individuals. She analyzes and reviews personal insurance needs, and represents highly rated, financially sound insurance companies. As an independent insurance agent and broker, Rosalyn can tailor-make a policy, offering coverage suggestions and premium comparisons, to bring together a client’s needs with the right insurer. Rosalyn has won the prestigious Five Star Award for excellence in client service for many years consecutively. 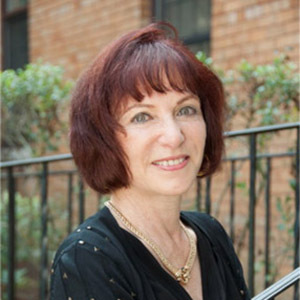 Active in the Scarsdale community, Rosalyn proudly supports many area charities and has been the chairperson of the Scarsdale-Edgemont United Way.